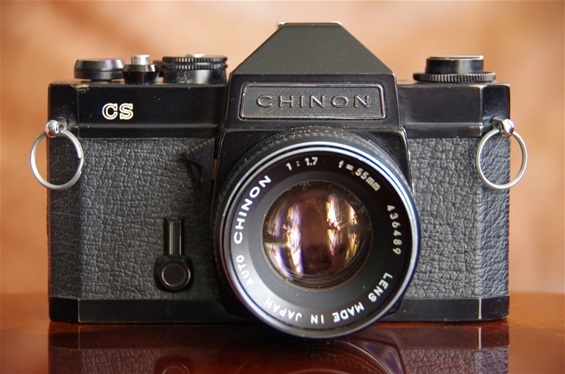 Chinon was among the less innovative Japanese brands, but sold quite some cameras throughout the world in their own name or in others. 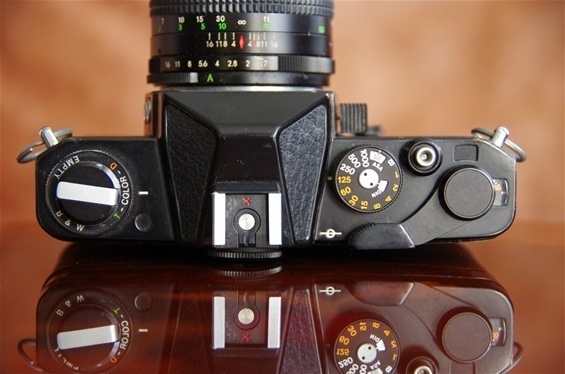 They were more or less official producers for many others brands during their time, which lasted from 1966 (Chinonflex TTL) till they were bought by Kodak, Japan in 2004. Their PP SLR production, however, ended around 1989 with the Chinon CP-9 AF. After that, they produced "bridge cameras" like the Gemini series into the 90's, before mass producing compact digital 35 cameras for Kodak and others. Chinon CS of 1976. A sturdy, well working camera. CS stands for Chinon Screw, as the mount was of Praktica/Pentax M42 type. 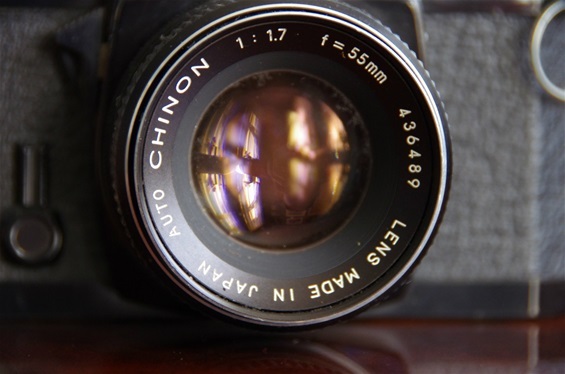 A Auto Chinon 55/1,7 lens. Sn. 436489.